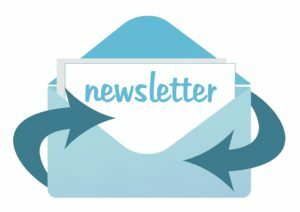 Why Is Having A Newsletter Subscription Important? Why is a newsletter subscription so important? A newsletter subscription is one of the most valuable items you can have for your business. Yet despite the benefits of a list, many businesses don’t have one, this can be due to the effort to obtain one, or the fear of regulations such as GDPR. Yet, with the correct processes in place, a newsletter subscription list can benefit your business significantly. Here are some of the key reasons why you need to have a newsletter subscription. The biggest reason why you should have a newsletter subscription is that it offers a strong ROI. For every dollar you spend on your email marketing campaigns, you’ll get back $32. This return is amazing, and for the past decade and more, email marketing has offered the best return across the digital marketing platforms. Even if you aren’t actively publishing selling mails, emails sell. They act as a touchpoint in the purchasing journey and when you need between five and twelve touchpoints, every email can help you sell quicker. If you’re considering selling your business at some point or looking for outside investment, the valuation you can place on your business can be higher if you have a strong subscription list. The main reason for this is that investors know that email marketing is lucrative and a strong list is a great way to generate revenue. Therefore, the more people that are active on your newsletter subscription list, the more valuable that list is and the more valuable your business is. A quick calculation states that even at Fluttermail’s smallest package means a good email list is worth just under $30,000 to your business’ value. The more people you have on a newsletter subscription list, the greater the value of the newsletters you send out. If you aren’t selling products or services or perhaps would like to generate more revenue from your newsletters, you can sell advertising space to businesses. Even a small advert on your newsletter can be worth $25 to $50 each. For those looking to make this a significant revenue stream, even a small e-newsletter is worth $60,000 to $80,000 a month. With other revenue options such as affiliate marketing, sponsored news and merchandising, an email newsletter can be a significant revenue earner. Whether your business is expanding, having a sale, or just got a new product, the newsletter is the perfect place to tell people this news. It will help you draw attention to your business’ news and make the most of it. Many people have used email newsletters to keep subscribers up-to-date in regards to future developments to create excitement. This is a great way to ensure the first day of an event is a success and the perfect way to launch a new product, new business site or a crowdfunding campaign. One of the reasons why emails can do everything we’ve mentioned above is because they build trust with audiences. Newsletters can be used to demonstrate your team’s expert knowledge and why you’re the perfect supplier of the solution. The more content you send to your audience, within reason, the more trust you will build with them. In fact, newsletters are a great trust builder and they should be sent at the same time every week. Negative reviews are the biggest threat to your business’ success and one sure way to get a bad review is to fail to live up to expectations. Expectations are set by your marketing campaigns. What can happen is that a lack of information increases the expectations of your customers. However, email campaigns can help you set realistic expectations. In fact, you’ll be able to under-promise and over-perform, giving you a chance to collect a lot of great reviews that will grow your business. Email newsletters are a great way to build a business. They generate sales and build trust, giving you everything you need to grow a steady revenue stream for your business. But they are also important to your business’ valuation. Therefore, if you don’t have a newsletter subscription, you should start yours now. What is keeping you from starting an email newsletter? 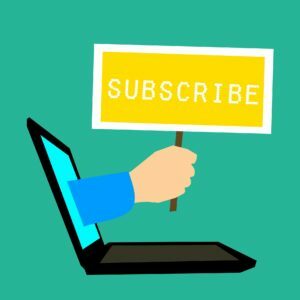 Are you struggling to grow your subscription list?